In other parts of the country when people go out to eat they might ask their server, “What kind of soda do you have?” In Texas, they ask, “What kind of Cokes do you have?” Ever wonder how Coke got to be so much a part of our lives that it not only dominates an industry, but became part of the language? It all has to do with a couple crafty lawyers, a shrewd contract, and some crafty defensive marketing. Coke has come a long way from its humble 1886 origins. John Pemberton, an Atlanta pharmacist, created a fragrant, caramel-colored liquid and combined it with carbonated water. When it was sampled by customers at the nearby Jacob’s Pharmacy they all agreed John had created a new drink that was something special. Jacob’s Pharmacy put it on sale for five cents a glass, selling an average of 9 glasses a day. Coca-Cola was born. From this small beginning, Coca-Cola has grown into the world’s largest marketer, producer and distributor of non-alcoholic beverages, selling 1.7 billion servings a day today. 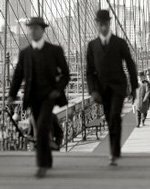 But it probably couldn’t have gotten to where it is today without the help of two lawyers and a carefully drafted contract. 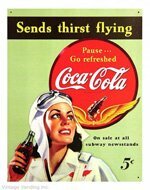 Three years after its birth, Coke was still only being sold at soda fountains, but a couple lawyers were interested in selling Coke in bottles. So they set out to obtain the bottling rights for Coca-Cola. Bottled Coke was a success. But Coca-Cola was in a bad business position: If the bottlers decided to raise the price of a bottle of Coke, Coca-Cola wouldn’t get any extra money because of the fixed price of the syrup. “Since everybody was brainwashed — people saw these ads all over — it was hard for anyone to increase the price,” says Daniel Levy, a professor of Economics at Bar-Ilan University in Israel and at Emory University in Atlanta. The nickel price lasted over 70 years. And in retrospect, Andrew Young says, it wasn’t a bad thing for the company. Its one reason Coke is everywhere today. The company couldn’t raise the price. So it did the only thing it could: It sold as many Cokes as possible. Like the Coke syrup contract, a carefully planned contract can make or break your company’s bottom line. Coca-Cola was able to make it work, but not everyone does. Want to know more? Ask us about our special flat fee pricing on contract creation with a 30-day guarantee. Contact Us for more information. You can also mark your calendars for a free Q&A session at Monday Night Marketing in Fort Worth on July 1st where we discuss the pitfalls of contract creation and negotiation! Click Here to join the Monday Night Marketing Meet-Up Group and get updates.